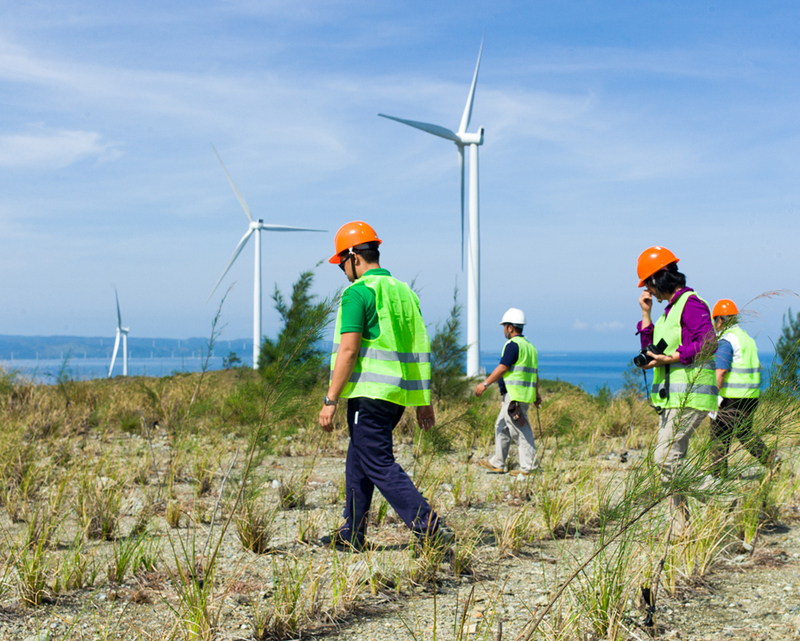 North Luzon Renewables (NLR) launched the Resilient Communities Campaign in 2016, advocating for more climate-resistant communities surrounding its wind farm and along its connection assets. The campaign underscores how sustainable development and resiliency go hand-in-hand, ensuring that communities are able to face new challenges brought about by climate change. Resilient communities have been proven to be able to bounce back faster. Through the campaign, NLR’s thirty-two connection asset communities were oriented with the basics of disaster preparedness and response. They had assistance from the local Bureau of Fire Protection and the Municipal Disaster Risk Reduction Management offices. The participants from the host barangays, Caparispisan and Caunayan, underwent a two-day certification course on Community-Based Disaster Risk Reduction Management. For this course, representatives were asked to prepare their respective barangay action plans for disaster and emergency situations. Following the intensive two-day workshop, the representatives were certified as community first responders for their respective barangays. All barangays were also provided with disaster preparedness kits to augment their preparations within their communities. Already in its second year of implementation, the campaign provided the barangays with the training and skills to withstand one of the strongest storms to hit Ilocos Norte in 2016—Typhoon Haima (Lawin).